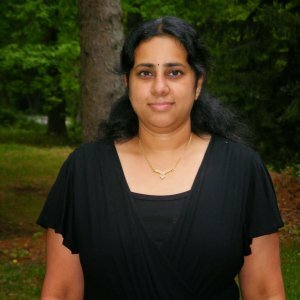 This week my theme for Blogging Marathon is Flavors of India and I decided to explore certain states in India. 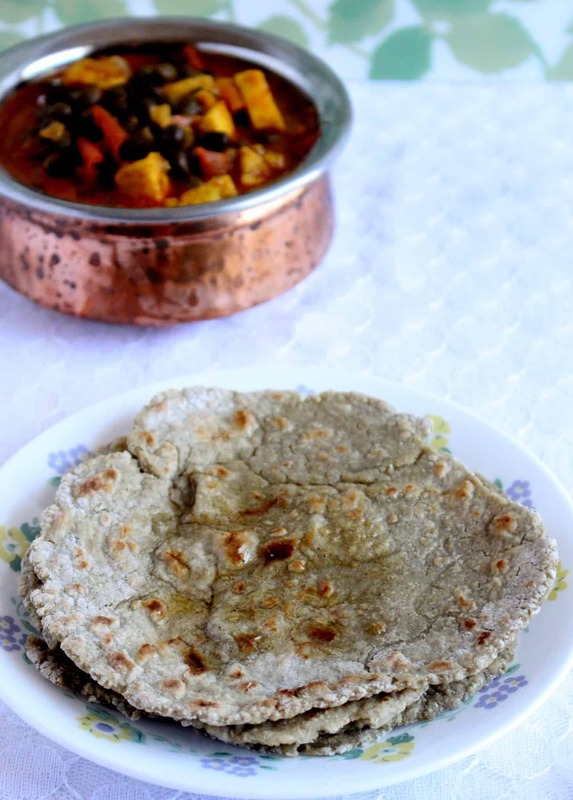 The first recipe I have in this series is this Bajra roti / Pearl Millet flatbread from Haryana. 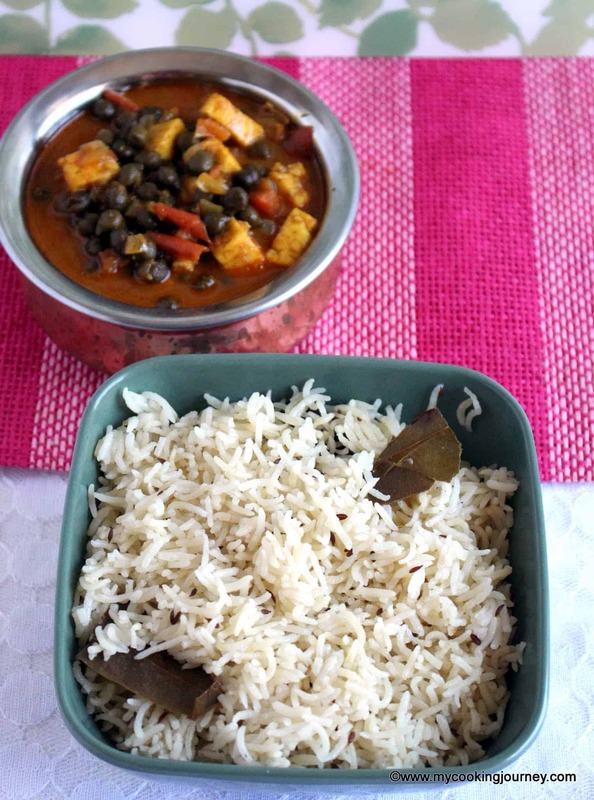 I had made Haryana thali last year and this is one of the recipe that was in the thali. I never got a chance to post the recipe and now I am finally able to post it. 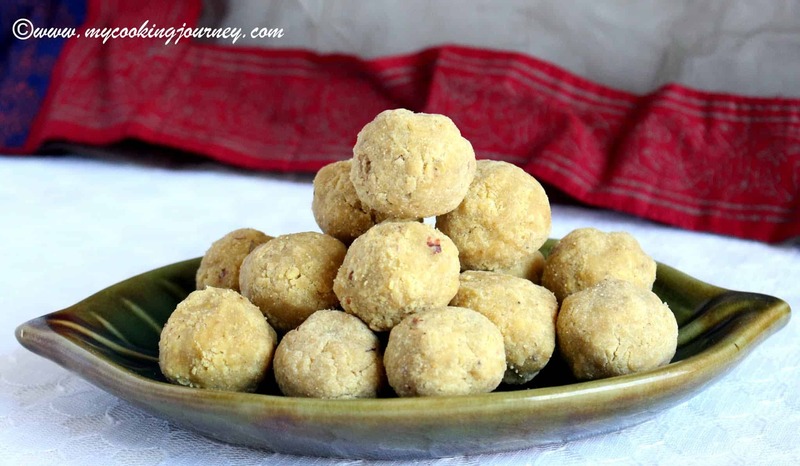 Millet is a very healthy grain and is entirely gluten free. Working with gluten free flours can be a little tricky and it takes a little bit of adaptation to get used to the taste and texture. 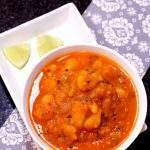 This roti is very hearty and goes well with some spicy subzi. The roti is not soft and fluffy like the ones that we make with flours that have gluten, like whole wheat flour. 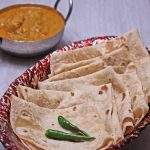 The lack of gluten also makes it very hard to roll the roti and the traditional method of shaping it with hands work the best. There are several recipes that use a little bit of whole wheat flour along with bajra to make it easier to roll and to also make it softer. If you don’t need the recipe to be entirely gluten free then this will be a good option. Also you could include boiled potatoes along with the flour to make rotis. 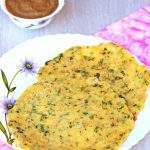 I experimented with couple of different ways and this method worked the best to make this delicious bajra roti. If you know me, I love anything that is earthy and hence enjoy working with whole grains. I used rolling boiled hot water to make the dough and it yielded good result. 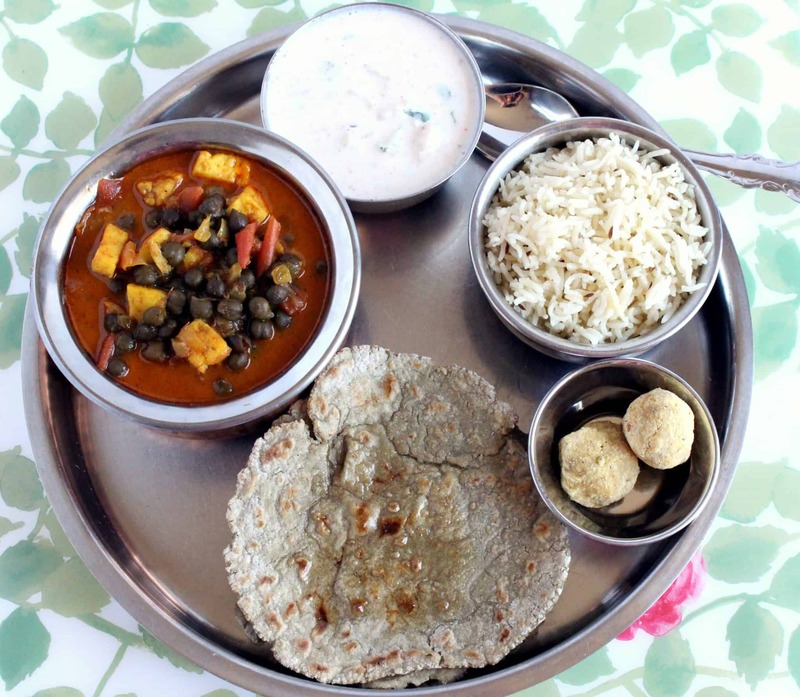 These are the other dishes that I made for the Haryana Thali – Aloo Raita, Hara Cholia Paneer Subzi, Jeera Pulao and Besan ki Pinni. Also, I have made the Besan Ki Masala roti with Gajar Methi Subzi and Paneer Do Pyaza. This refreshing Lassi Patiala is also famous in Haryana. Heat water until it comes to a rolling boil. I boil about 2 cups of water and then remove a cup to add if needed. Combine the flour and salt in a bowl. You could either add the boiling water to the flour or add the flour to the boiling water. I added the flour to the boiling water, turned off the flame and then used a wooden ladle to mix them up. Once the mixture was cool enough to handle, I used my hands to make soft dough. Also add the oil when kneading. You might need more or less water, so start with less and then add more as you go. Bajra flour needs more water than wheat flour. Rest the dough for about 5 minutes and then divide it into 6 equal parts. I used a plastic sheet (zip lock) to shape my roti. Gently flatten the dough until it forms a 6-8 inches wide circle. Cook the roti on a hot pan until brown spots appear on both sides. Remove the cooked roti and smear it immediately with ghee. Serve warm! Even I use boiling water to knead GF flours. Your roti has turned out amazing. And that thali looks super! Though I have loved every Indian dish I have ever tried (well, except the super spicy-hot ones 😉 ) , I have made very little Indian food at home. The many spices and methods can be intimidating. Your recipe isn’t intimidating at all! My daughter is gluten free and this roti will make her very happy with some palak paneer. You mentioned possibly adding boiled potatoes. How much would you add? Nice gluten free roti! Looks great , must have tasted awesome with the curry. Delicious Thali.. and healthy roti!! 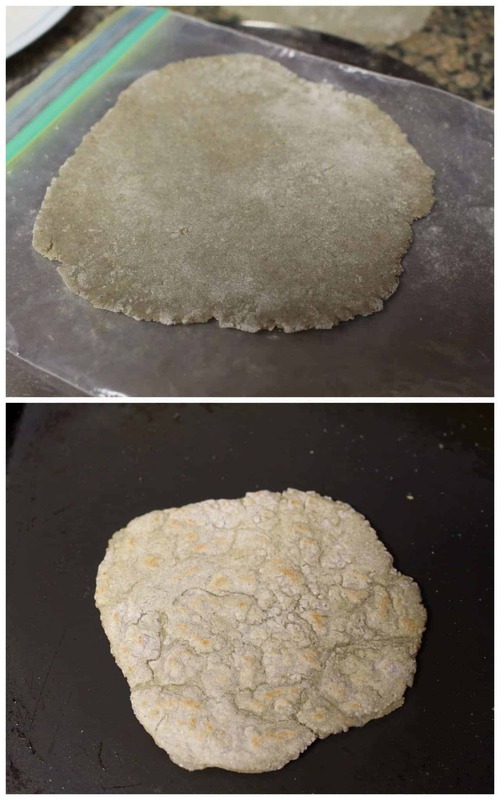 Bajri roti is popular in Gujarat too , and is normally served with loads of ghee and fresh green garlic , I normally hand roll it and make it on a rustic earthenware griddle . Your thali is tempting me with those green Chandna and rotla , excellent. Gluten free bajra roti looks fabulous, who can forget your Haryana thali, wonderful plating there. My youngest is gluten-free so I always enjoy seeing what other folks are making that’s gluten-free. I’ve never tried making anything like this. I really enjoy roti but I must admit I have never made it myself. I will be looking for the bajra flower at my local Indian grocer and I love that it is gluten-free. My husband absolutely loves roti – i’ll definitely be giving this a go when I next make a curry, thanks! I did not know about the boiling water for GF flours! gotta try it out! I love how you make things like this bread from scratch. 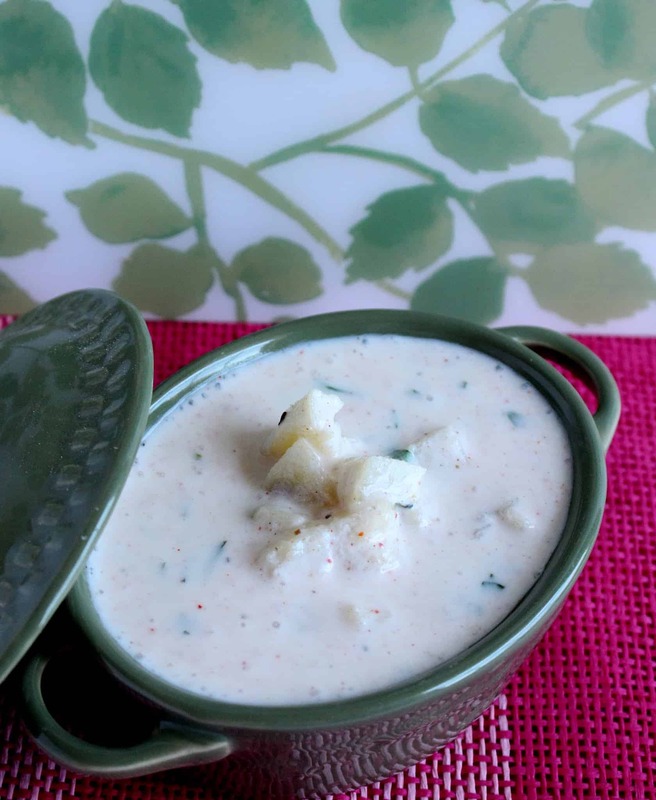 Your ability to make store-bought things look so easy to prepare at home is very inspiring! I need to give this one a try for sure..Especially since it’s gluten free. I’m sure this would be great with so many things. I’ve never really experimented much with breads but I’m going pin this to try! I don’t see enough recipes that use millet. It’s just not used that much in the US, but it really should be since so many people can’t tolerate gluten. My daughter has celiac disease so she has to eat gluten free. This roti would be a great flatbread for her. This looks easy enough to make at home. Served with some tapenade and you’ve got yourself a healthy lunch of snack! Looking forward to trying this! I’m a nervous baker, so even though I love making curries, I normally buy the bread frozen. I’ll have to try this! It’s nice to see people trying traditional foods with new ingredients – like gluten free – that way everybody can experience the flavors of a culture. I know GF flours are tougher to work with, your pictures look like things turned out pretty well! oh I just made a curry today and now I’m so bummed I didn’t have something this good to go with it! Would have beenp perfect! I love Indian food and I love to sop up all the sauce with the roti! I’m going to have to try this the next time we have Indian night! 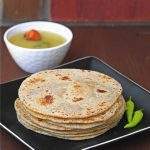 I have used aloo to make bajra roti sandhya. This looks like a nice idea. Will try next time. I agree. It takes time to get used to gluten free flours taste BUT healthy benefits are numerous. 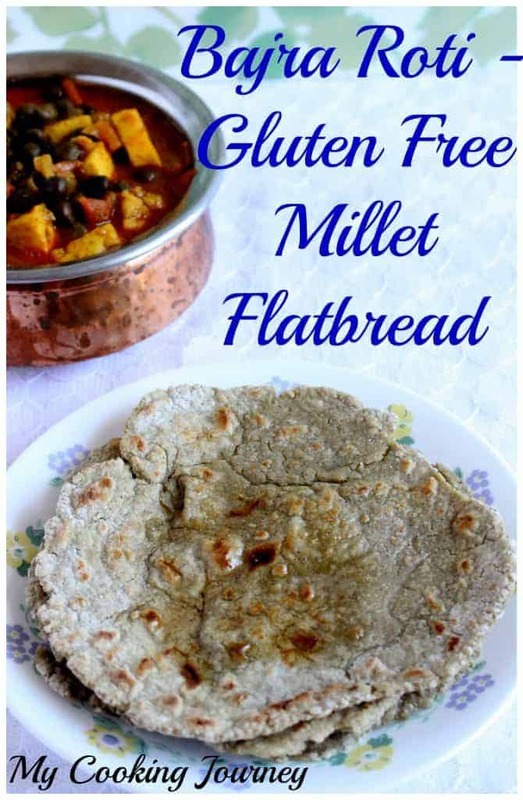 I’ve never tried cooking with bajra flour but this flatbread looks so flavorful and wholesome. 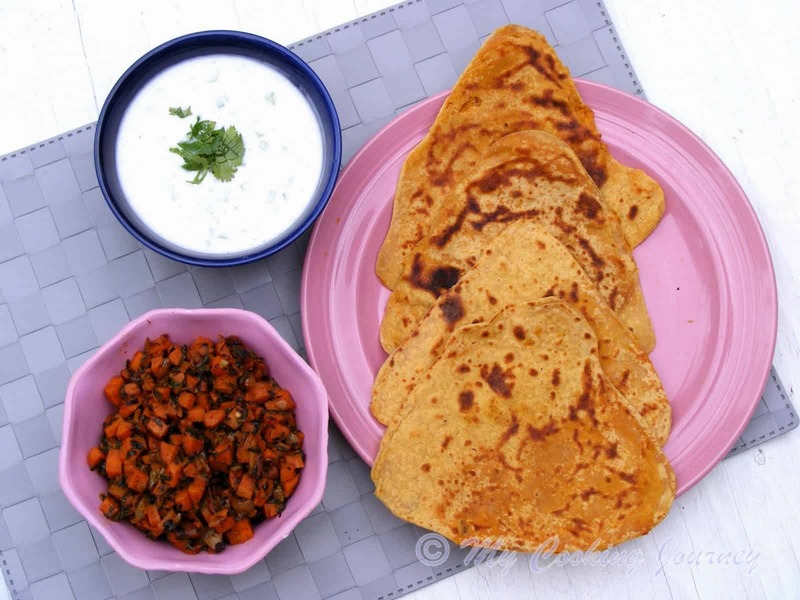 I love roti but I’ve never tried making it at home – this looks so good. Agree with the challenges of working with gluten free flour, but it’s always fun to experiment in the kitchen. Your entire post took me back home. I’m from Delhi and Haryana is the neighboring state, so our food habits is so similar. I love all the recipes you’ve mentioned above from ‘besan pinni’, to lassi, to paneer and these bajra roti is definitely so yum n healthy. Thanks Molly. It is always fun when a food posts takes us back to our days of growing up. 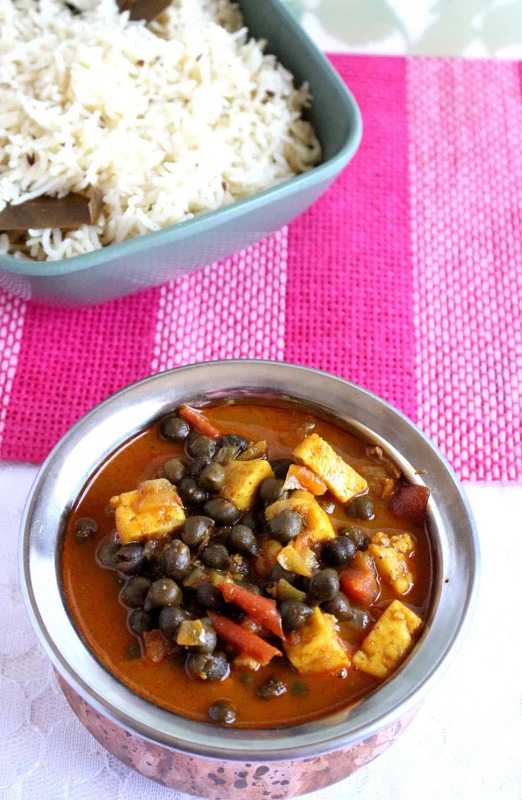 This is the first time I see this recipe and I must admit it sounds delectable, Sandhya! Can’t wait to give it a try myself. Thanks! It is not very common in restaurants, so you might not find it. This roti is made in Karnataka and Maharashtra too.Your methodology is different from what we do. Glad you liked it. 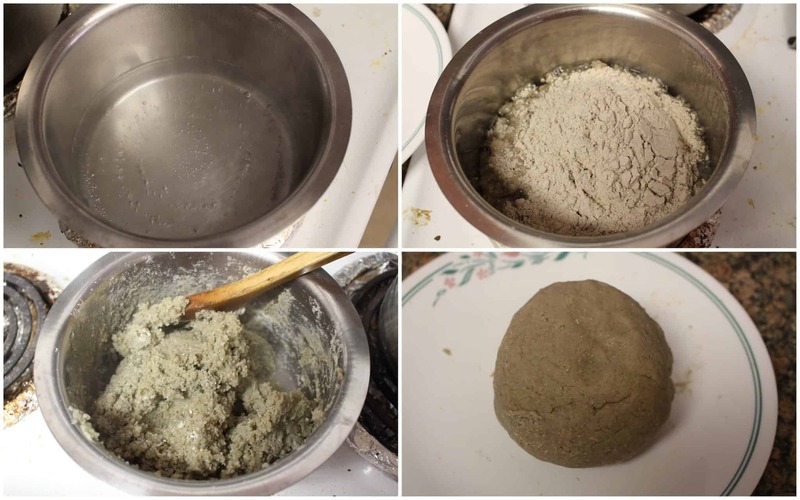 You have done a great job making rotis out of bajra flour. Those look hearty and delicious. 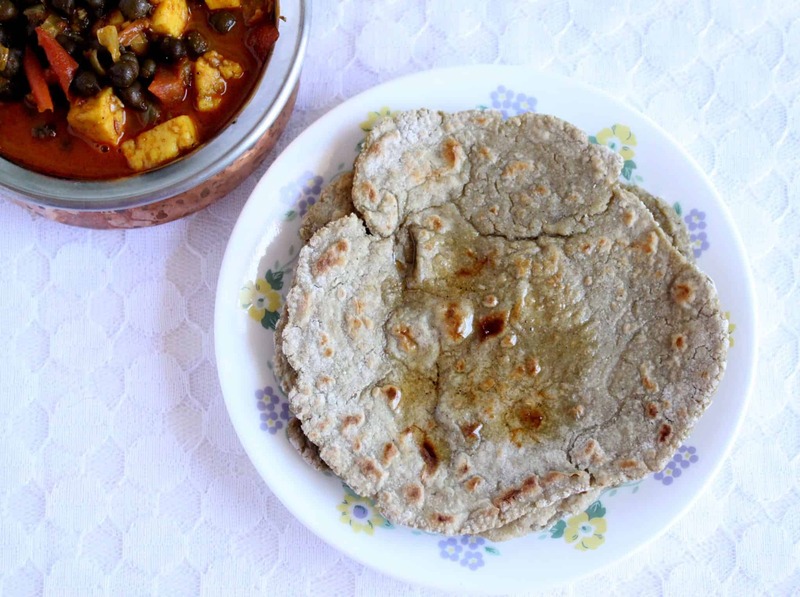 I make these rotis the same way and every time they are loved by all at home. 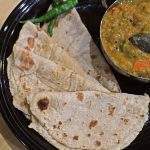 I love bajra roti and yes these are quite popular in Andhra too..:)..we make it both the ways as in patting it down and dry rolling as well..that thali looks so yum Sandhya..